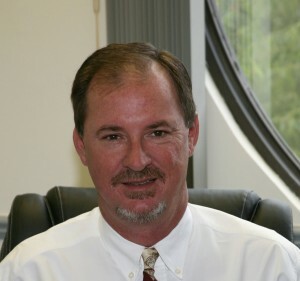 Craig Weaver, President and founding member, began his career in the right of way industry in 1991 when he was hired by a nationally known right of way consulting company as a right of way agent. During his time as an agent, he represented MAPCO, Diamond Shamrock and Seminole Pipeline, developing and refining his natural skill in negotiation. Craig left the right of way industry in 1994 and spent the next 13 years viewing right of way from the perspective of pipeline construction companies, acting as Vice President of Business Development for Associated Pipeline Contractors, after 4 years Craig then accepted a position with the Ozzie’s group of companies, a world leader in pipeline padding techniques and horizontal directional drilling, where he held several titles, including, V.P. 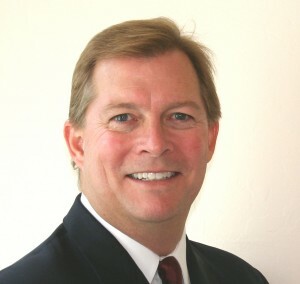 of Business Development, Sr. Vice President and President, after the company was sold to an investment group, Craig and 3 others purchased the assets of the directional drilling division and formed Southeast Directional Drilling, Craig’s experience, leadership and business savvy resulted in the companies experiencing significant growth, with revenues increasing nearly 10-fold. During his tenure, Craig fostered and developed relationships with key pipeline companies, which he maintains to this day. Craig’s experiences from the perspective of an acquisition agent and from that of pipeline construction provide him a unique understanding of the right of way process from start to finish and a solid foundation for his current responsibilities. Craig is charged with establishing, developing and maintaining relationships with pipeline and utility entities, striving to meet their needs and exceed their expectations. Craig is known for his straightforward approach to business and is widely respected for his personal and professional integrity. Craig is a member of the International Right of Way Association and the Houston Pipeliner’s Association, Chapter 28, Phoenix, Arizona. Mark Pickering, Vice President and founding member, is an experienced right of way agent and a seasoned professional with an exemplary employment history in sales, marketing and project management. Mark spent more than 20 years with Emerson Process Management, the world leader in industrial automation and provider of measurement and analytical devices to the pipeline industry. Mark’s insight into the technical operations of the pipeline industry combined with his experience on the ground as a right of way agent afford him the ability to see past the surface and take into account actual systems operations. Mark’s responsibilities include the day-to-day operation of G&P as well as meeting with clients and addressing their specific right of way needs. Mark graduated from Texas A&M in 1980 with a Bachelor of Science in Industrial Distribution. He is an active member in the International Right of Way Association. 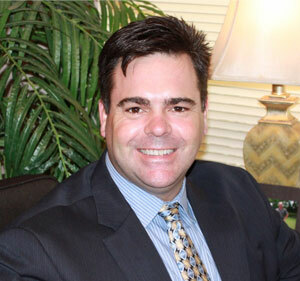 Troy Bergeron, Vice President-Projects, joined G&P Land in January, 2011. Troy began his career in 1995 and has provided land services to numerous clients from the Pipeline, Oil and Gas Exploration, Telecommunications and Public Sectors. Troy comes to us from one of North America’s premier natural gas infrastructure companies where he was a Right of Way Project Manager for their Engineering and Construction Group with management responsibility for the South Region and Storage Team. Troy’s career began in Louisiana where he successfully accomplished projects for numerous E & P companies as an Abstractor and Landman. He has also done title and leasing in Alabama, Florida, Mississippi and Texas. He has performed contract work across the nation on interstate and intrastate pipelines-FERC regulated and State regulated; Transmission pipelines; Midstream pipelines; Gathering systems; Fiber Optic systems; Wireless Towers and Water and Sewer Lines. Troy’s project management abilities from project inception to final cleanup make him especially qualified to handle any client’s specific needs. Troy served our nation proudly receiving an honorable discharge as a non-commissioned officer of the United States Air Force. During his tenure at Southeastern Louisiana University he worked towards his Business Management Degree. He is an active member of Chapter 8 of the International Right of Way Association and a former member of the Baton Rouge Association of Petroleum Landmen. Leslie Allyn Cole, Accounting & Human Resources Manager, is responsible for invoicing, banking and serves as the payroll and benefits administrator at G&P. Leslie began her career as the Accounts Payable Manager at the Marriott’s Plaza Hotel in San Antonio and helped start Imperial Meat Purveyors as the Chief Financial Officer. Always a lover of politics, Leslie then went to work as the Budget Director of Communication for a presidential campaign. 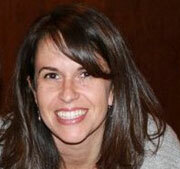 She was responsible for creating, implementing and managing a multi-million dollar budget for the Press Department. She went to Washington D.C. with the Administration to become the Deputy Comptroller of the Presidential Inauguration Committee (PIC). There she created and managed a $14 million budget for several events and functioned as liaison between PIC and the Secret Service. Leslie returned to San Antonio to run a local campaign and work with community leaders on organizing some of the City’s most important events: the launch of the nationally acclaimed Children’s Courts, the re-opening of the Smithsonian’s Museo Alameda and the annual conference for the influential Texas Lyceum. Leslie received her Bachelor of Business Administration degree from The University of Texas at San Antonio. 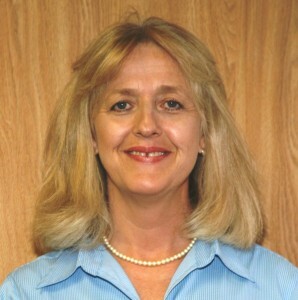 She is a current member of the International Right of Way Association. Melissa Watkins, Staffing Coordinator & Personnel Manager, began her career in the right of way industry in 1997, working as IT Administrator and designing the company website. Her natural ability to interact and communicate with others resulted in a transfer to personnel and staffing. Melissa is a highly focused professional who has repeatedly shown great versatility in maintaining effective communication with clients, working effectively with field personnel, administering contracts, tracking project costs and assuring the smooth flow of general project activities. Her ability to establish and maintain relationships and successfully communicate with people from diverse backgrounds is a valuable asset. Melissa’s responsibilities include identifying and recruiting field personnel, the preparation of proposals, bids, estimates and other corporate communications, the on-site establishment of remote project field offices, including locating and leasing appropriate space and ensuring that they are properly furnished and equipped. 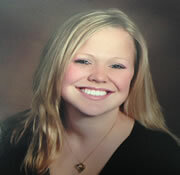 Melissa also serves as the primary corporate office liaison with both clients and project supervisory personnel. Working in continuous contact with the principals in charge of client accounts and projects, Melissa is the lynchpin of field operations as well as the first point of contact for personnel working in the field. Melissa received Bachelor degrees from the University of New Mexico and Central Washington University. She is a member of the International Right of Way Association.